Argentine Red Shrimp (Pleoticus Muelleri) are wild caught in the deep waters of the Western South Atlantic area. They are jumbo sized and often compared to lobster but sweeter! 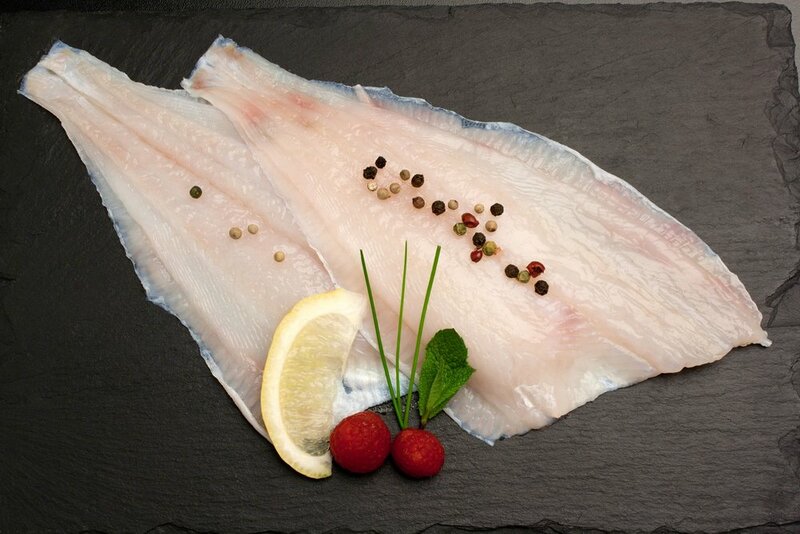 Cod is a hugely popular fish and has been part of the European diet since the Stone Age. There are three cod species known, Atlantic, Pacific and Greenland. 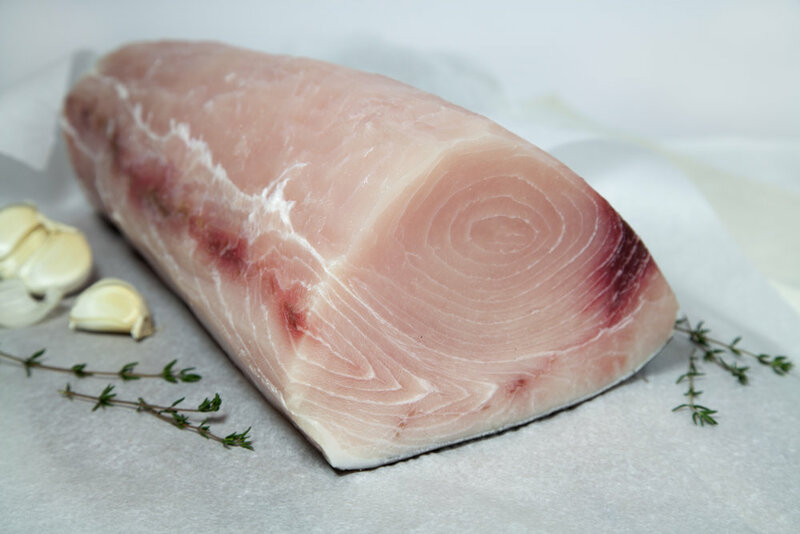 Cod has a mildly flavoured, moist white meat and can be prepared in many ways. We source Alaskan Cod that is MSC Certified. Flounders are a group of flatfish species. They are demersal fish, found at the bottom of oceans around the world; some species will also enter estuaries. In its life cycle, an adult flounder has two eyes on one side of its head, and at hatching one eye is on each side of its head. Grouper’s average weight is around 15 pounds, with the largest catch on record at a little over 39 pounds. This species lifespan is approximately 25 years. Distinguishable by its’ firm pinkish meat, it has become one of the most requested smoked items. Mahi-Mahi is a Hawaiian word that means "strong-strong". 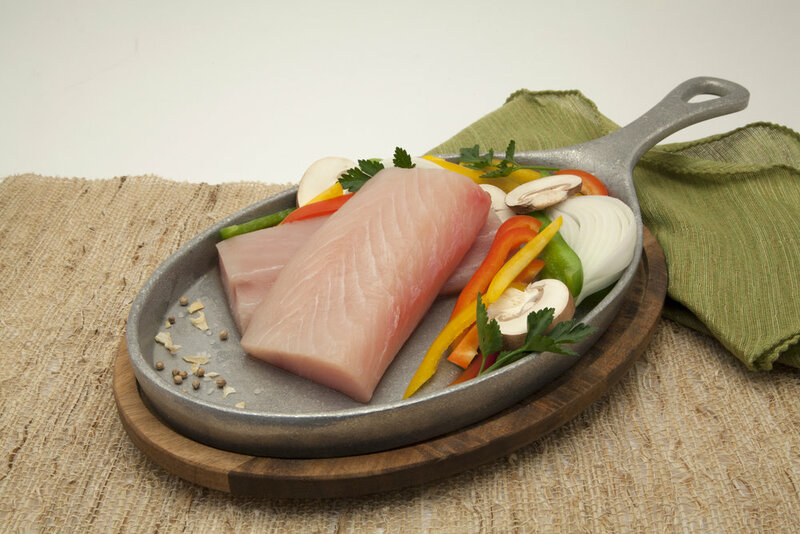 Mahi Mahi are distinguished by dazzling colors including golds, bright blues and greens. Mahi Mahi has a lifespan of 3 to 4 years, which makes them one of the fastest growing fish in the sea. Salmon is the common name for several species of fish in the family Salmonidae. Salmon are native to tributaries of the North Atlantic (genus Salmo) and Pacific Ocean (genusOncorhynchus). Typically, salmon are anadromous: they are born in fresh water, migrate to the ocean, then return to fresh water to reproduce. Snapper of the Lutjanus family, are fin fish that are typically found in tropical coastal waters. Snappers are not known for their massive size, but some snappers can grow up to approximately 3 feet long. Most snapper feed off of smaller fish or crustaceans, giving it an excellent flavor. Our Steelhead Trout is farmed in the pristine waters of the Andes Mountains at over 13,000 feet above sea level, in the Choclococha Lake in Peru. It is farmed without the use of antibiotics, nor chemicals or anti-parasites. 100% natural, environmentally friendly, healthy and delicious. Available 365 days a year and first Salmon Trout farm to be 4 star BAP certified.. Swordfish is named after its sharp bill, resembling a sword. The bill is used to injure its prey, making for an easier catch. Lacking teeth, the swordfish relies on its great speed and agility. Swordfish can grow up to 14 feet and weigh as much as 1400 pounds. Females grow larger than males, with males rarely weighing over 300 pounds. Tilapia are mainly freshwater fish inhabiting shallow streams, ponds, rivers and lakes and less commonly found living in brackish water. Historically, they have been of major importance in artisan fishing in Africa and the Levant and are of increasing importance in aquaculture and aquaponics. 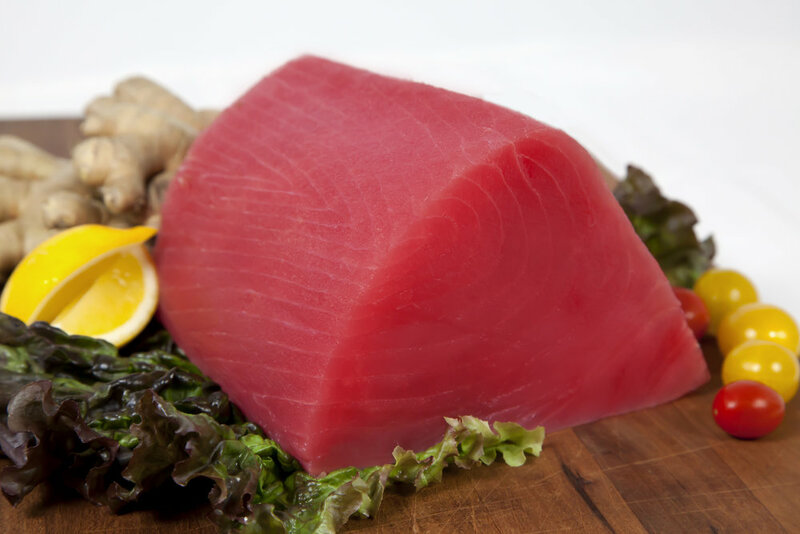 Tuna are known to be one of the fastest swimmers in the ocean, traveling at speeds of up to 50 mph. With an average lifespan of 8 years, Tuna can reach lengths of up to 6 feet and weights of up to 450 lbs. However, the average catch by commercial fishermen is 75 to 100 lbs.